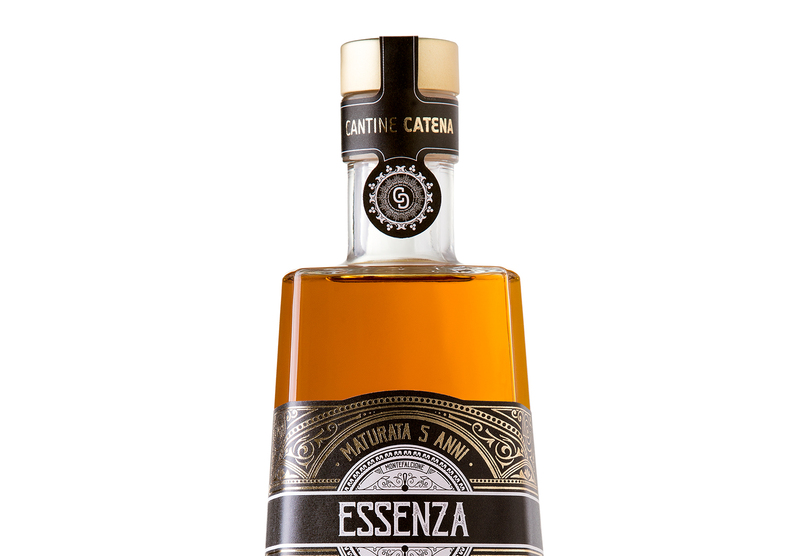 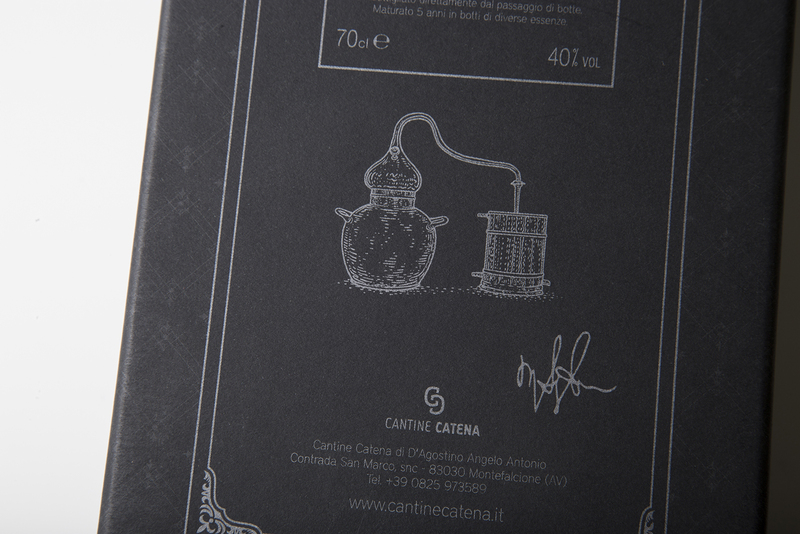 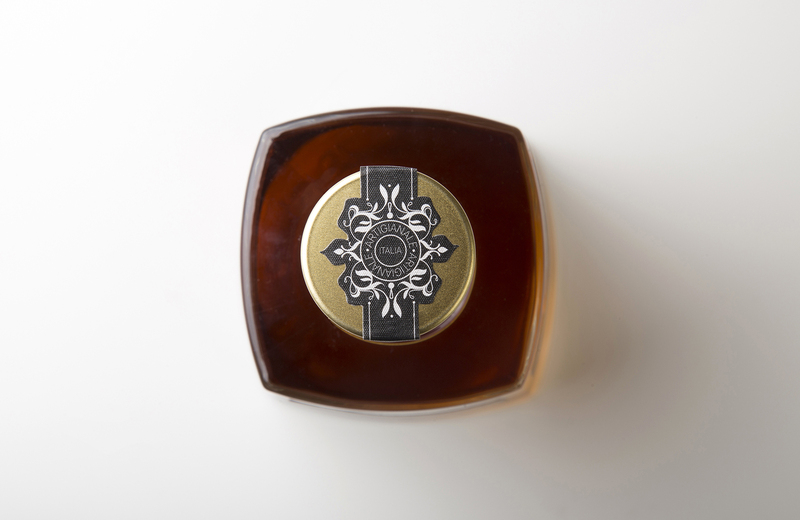 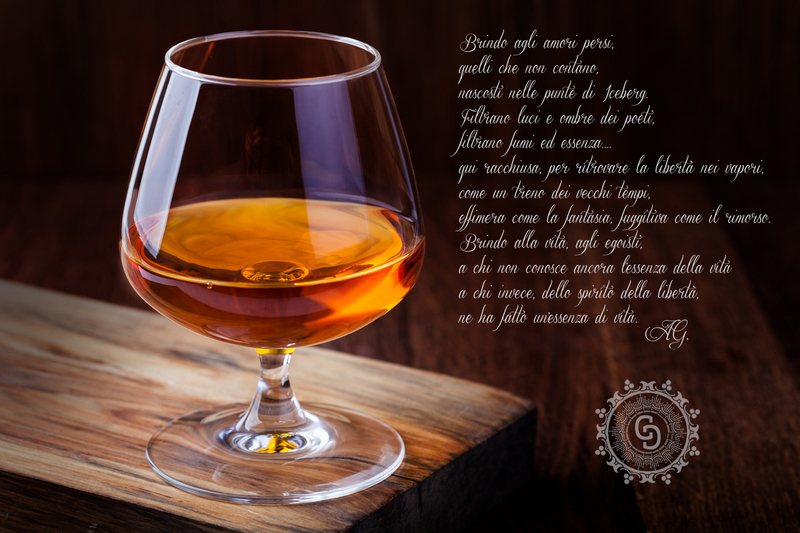 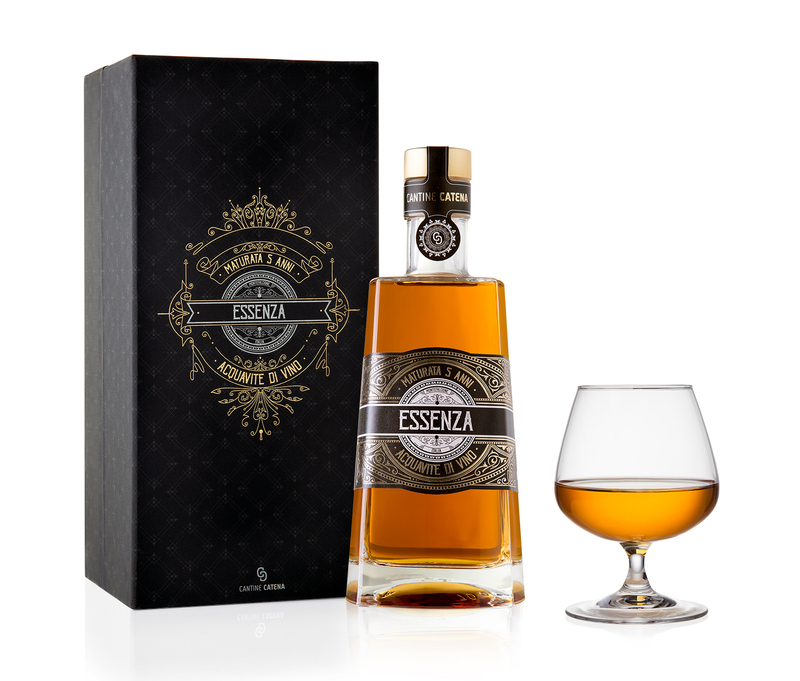 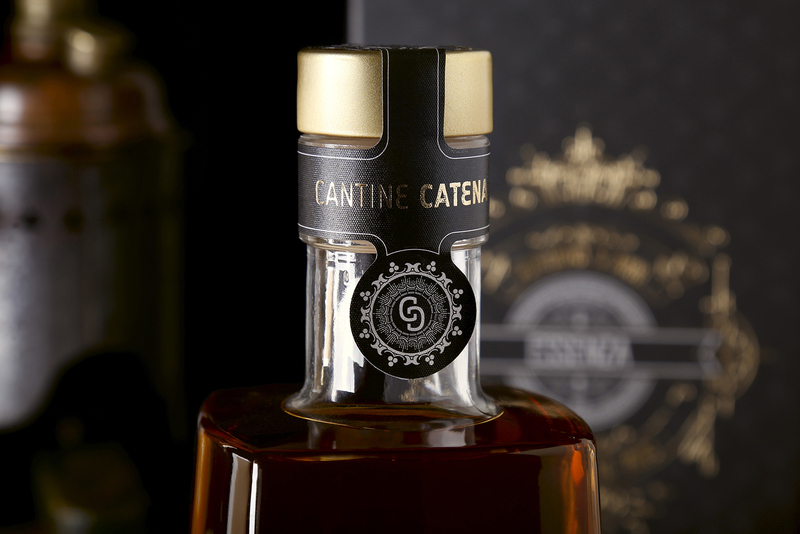 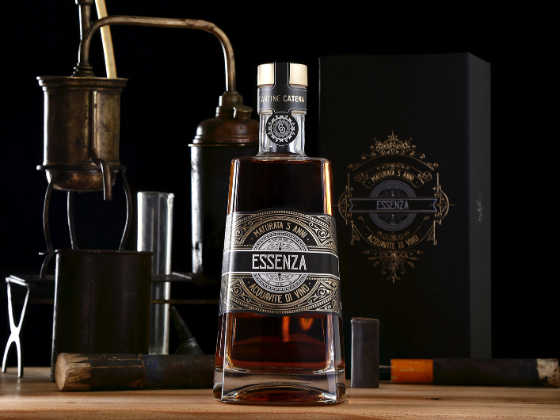 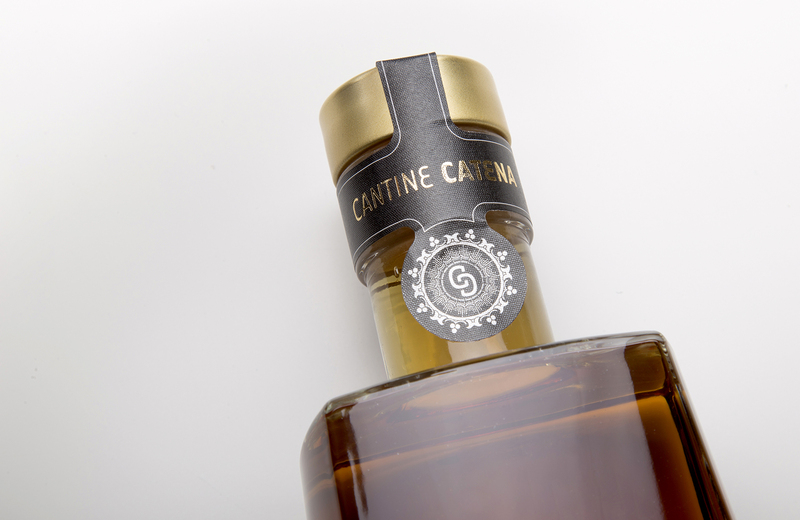 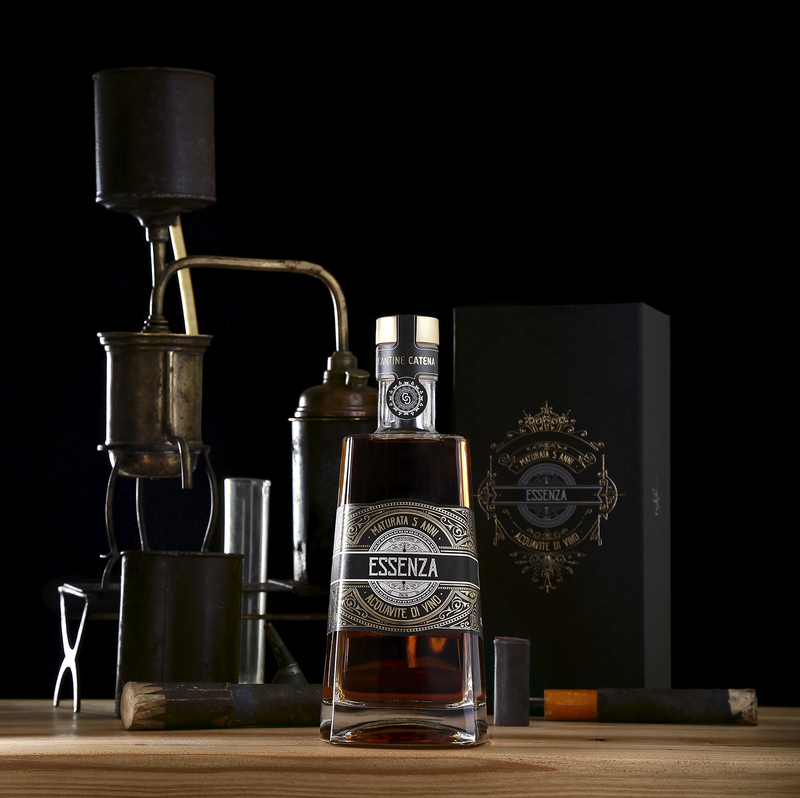 The latest creation from Catena is called “Essence” and it is a very unique wine spirit that resulted from the selection of three D.O.C.G. 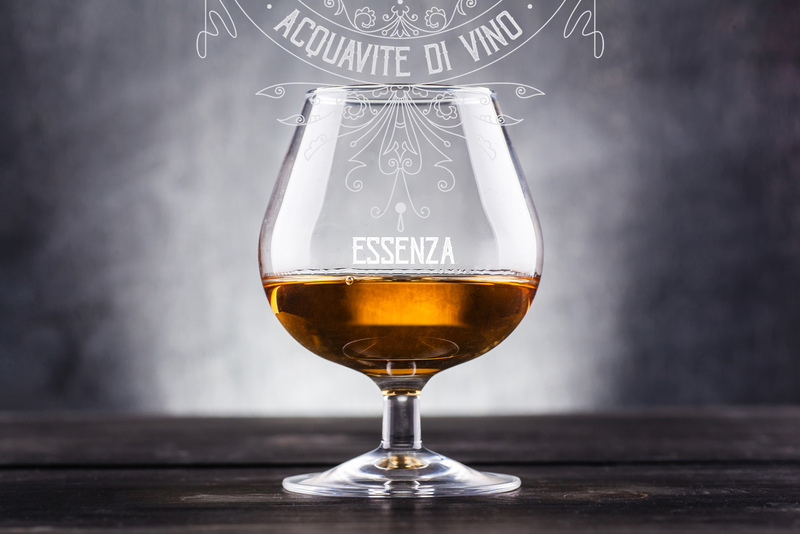 wines typical of Avellino Province; they are Taurasi, Fiano di Avellino and Greco di Tufo. 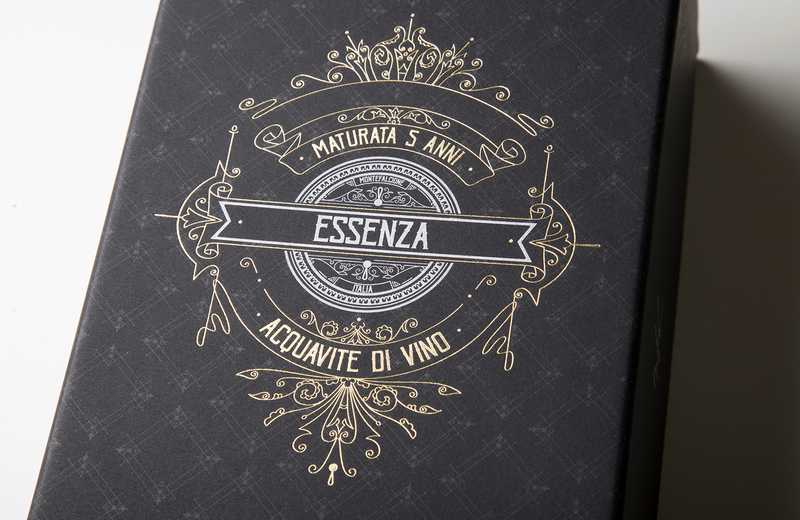 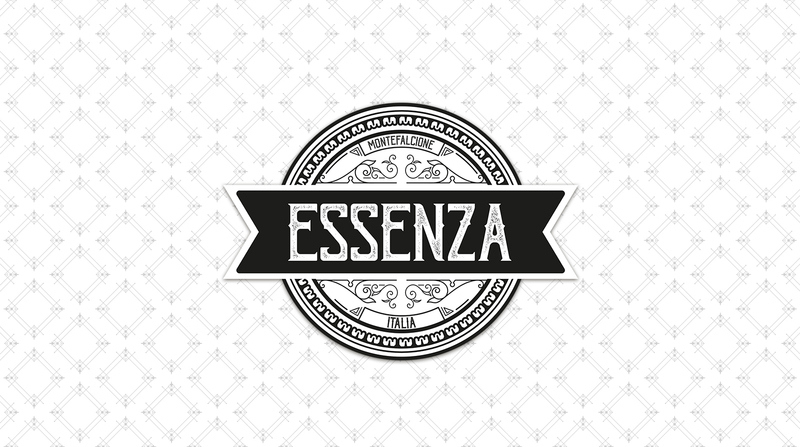 Essence is a blend of three wines characterized by an immense structural power and a deep complexity. 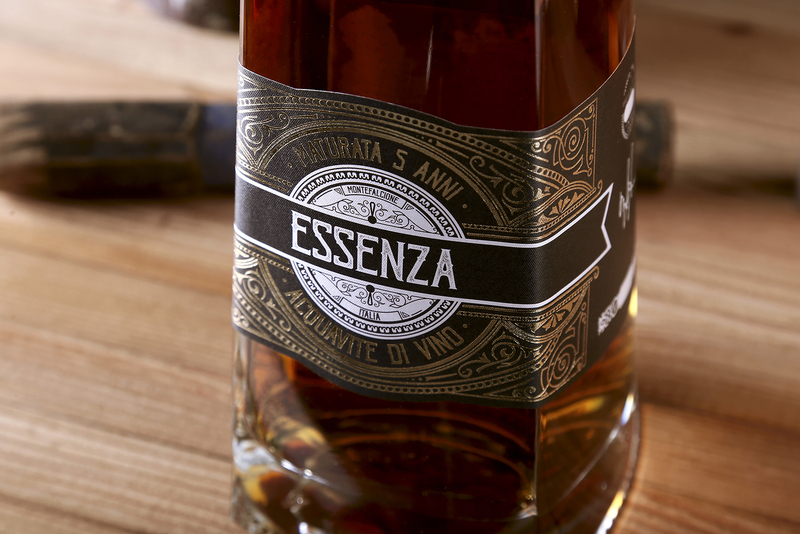 Every single bottle is numbered and its distilled wine is left to age for 5 years in precious wood barrels, each one releasing its own essence. 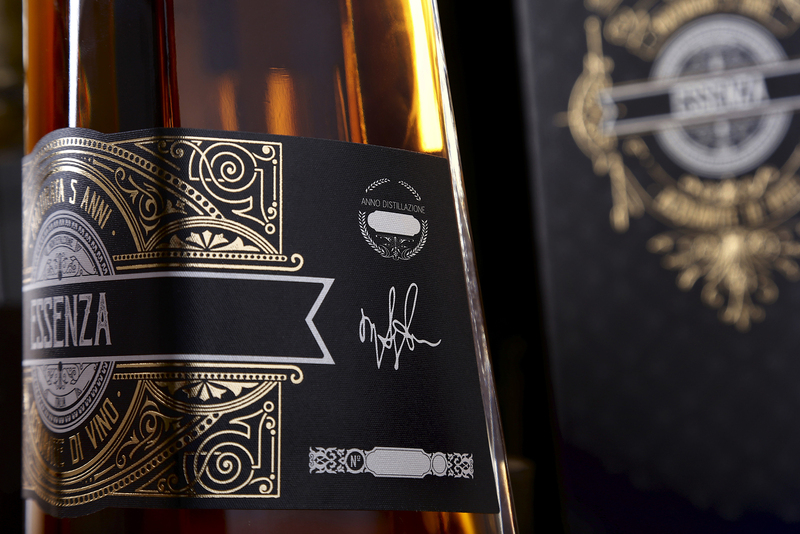 Because of the complex production process, the wine spirit realised is a genuine one and intended to be enjoyed by a chosen few. 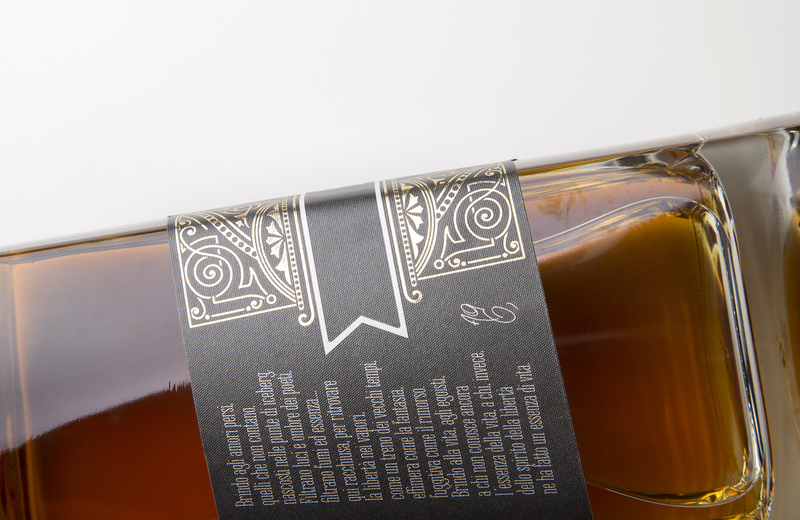 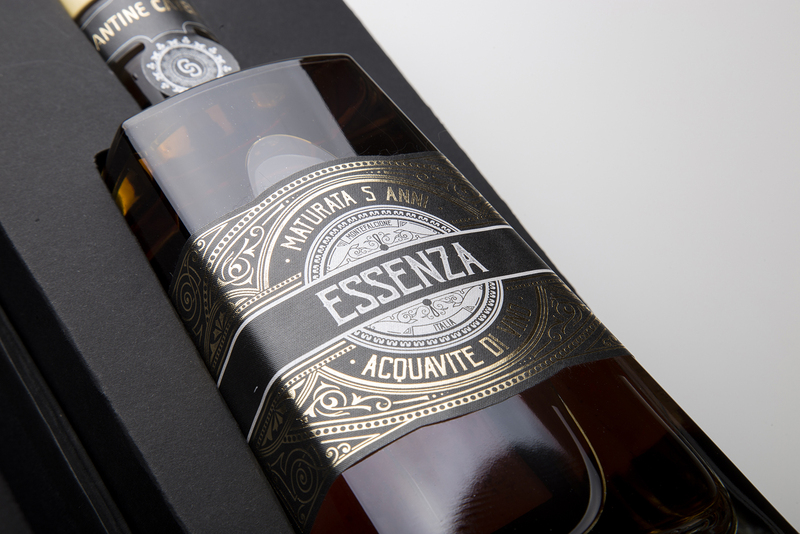 The label is printed on Constellation Jade Raster by Manter, one of the best self-adhesive papers produced by Arconvert, which offers extremely high standards for its quality, resistance and appealing visual and tactile effects. 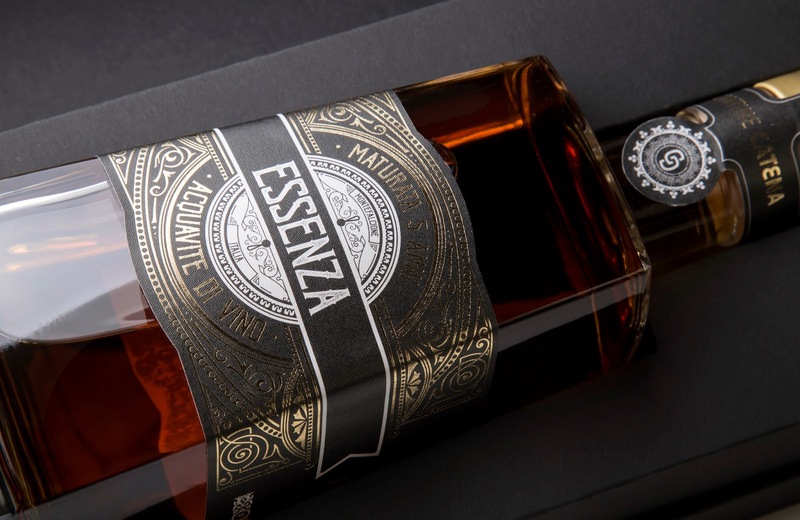 The beauty of this label lies in its simple shape, linearity of form and in its refined juxtaposition of graphical features made of thin metallic finishes. 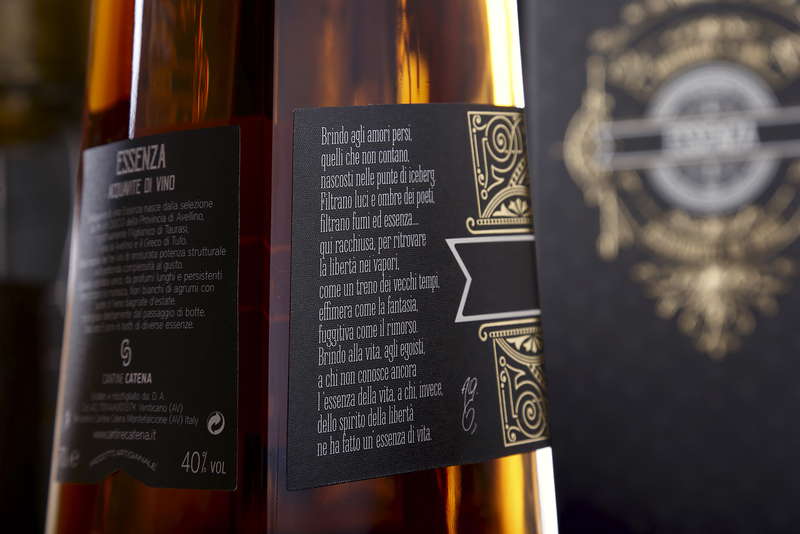 As the precise workmanship conveys the idea of elegance, the symbolic element – printed at the centre of the label- remains true to the ancient artisan origins, giving a unique, almost spiritual image to the wine spirit. 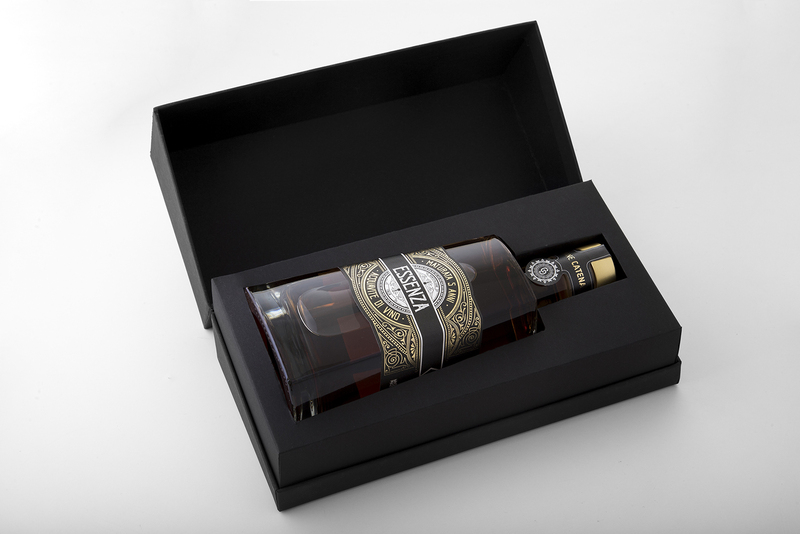 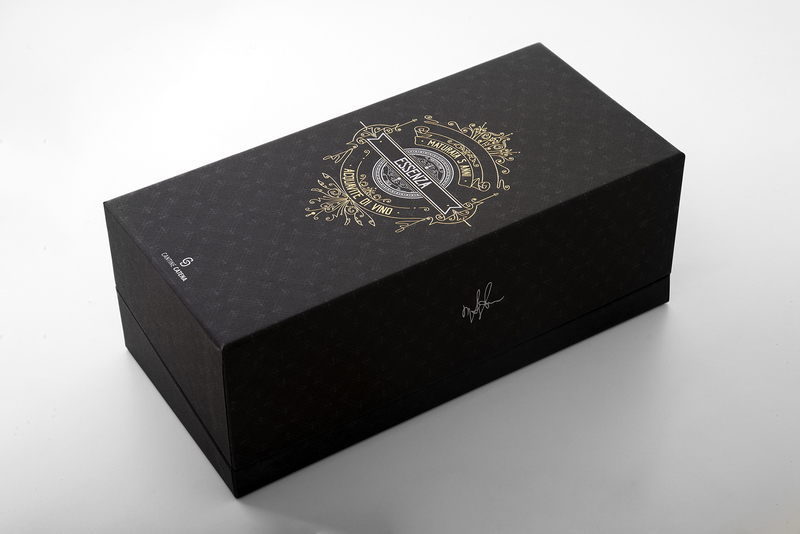 The creation is enclosed in a stylish cardboard box coated with Fedrigoni’s paper whose elegance is illustrated by the chromatic black and gold contrast that highlights the wine spirit’s name.